As an artist, getting accepted into an art exhibition can be super exciting but also overwhelming. You’ve put the hours into creating your artwork, but now it’s time to make it presentable. The work itself is what got you accepted into the show, but your presentation is what will help you sell. One of the first things to consider is how much space you have. If you know the dimensions of the wall or room you’ll be displaying in, you can make a mock-up of how you want to arrange your pieces. This way you don’t have to worry about whether or not everything will fit once you’re ready to set up. You can do this by measuring each piece and drawing a to-scale diagram of the space. Or if you want to see how it will really look, you can measure the actual size in your home or studio, arrange your pieces in that space, and take photos to reference when you’re setting up. 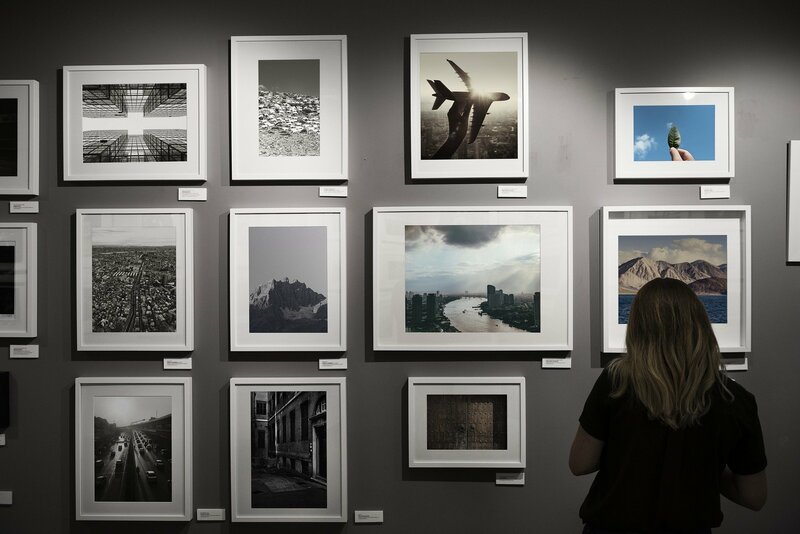 Before getting your art display-ready, you’ll want to make sure you have high quality documentation of each piece. Depending on the kind of work you’re showing, you should photograph or scan it before adding a frame with glass or any other distracting display materials. This way, if you sell any pieces during your exhibition you’ll still be able to use it in your portfolio. 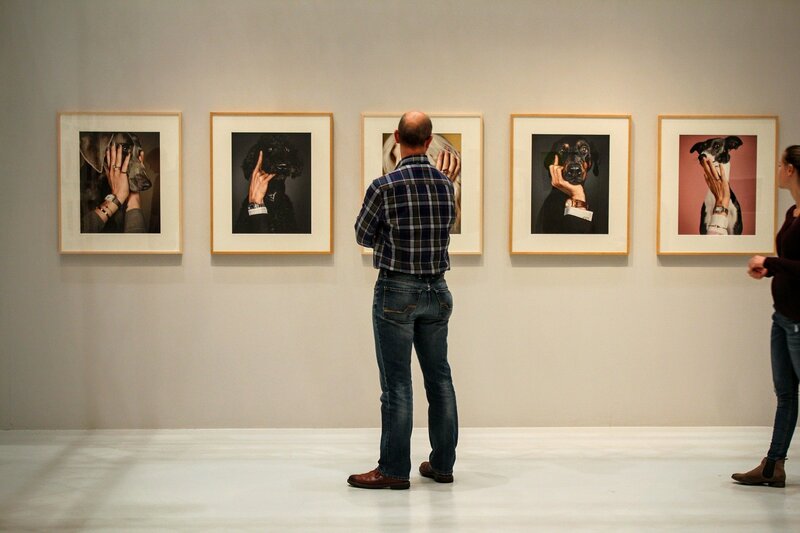 You’ll want visitors of your art exhibition to be able to easily find prices and information about your work. Before your show starts, create a list with each piece’s title, size, media, and price. This list should be displayed somewhere that is accessible to the audience. Depending on how big the show is, you might want to print multiple copies and set them in different places. Business cards are also important to display at your show. This way if someone is interested in your work and wants to get in touch in the future, they’ll know how to contact you. People might walk into the exhibition on a whim without the funds to purchase something. However, if they have your business card it will remind them that they enjoyed your art, and they’ll be able to easily find you. 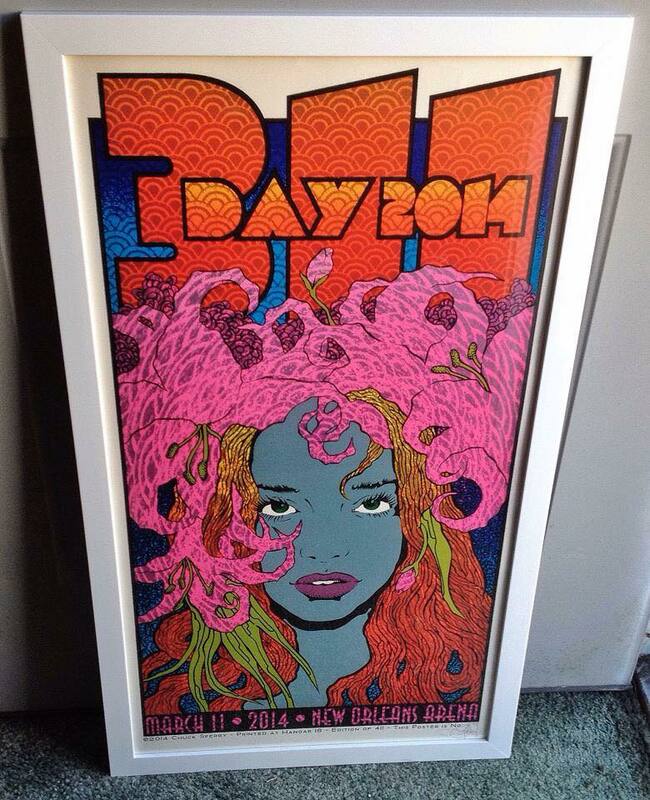 If your art is 2-D you’ll want to make sure it’s framed and ready to hang. There are tons of options for picture frames for your work. However, it’s important that the frame doesn’t out shine or distract from your art. Keep it simple so that no one is paying more attention to the frame than your art. Black or white frames are usually a safe bet. Depending on how you choose to use a frame, or if you go without one, you might need additional hardware to be able to easily hang your work. One of the best ways to make connections is to have genuine conversations with your audience. Let them know that you’re the artist and you’re open to answering questions. If they don’t have questions for you, ask them how they heard about the show or what made them stop by. If someone seems interested in your work at all, let them know you have business cards. Being likable in general will make people more engaged with your art. I grew up believing there are a few important stages in life: graduating from college, finding your first “big kid job”, getting married, and then all the fun stuff that follows marriage. So when those steps fell into place perfectly in my life, I was over the moon! Right after getting my first big kid job post-college, my boyfriend of 3 years proposed to me. I could finally put that lengthy Pinterest board to good use. 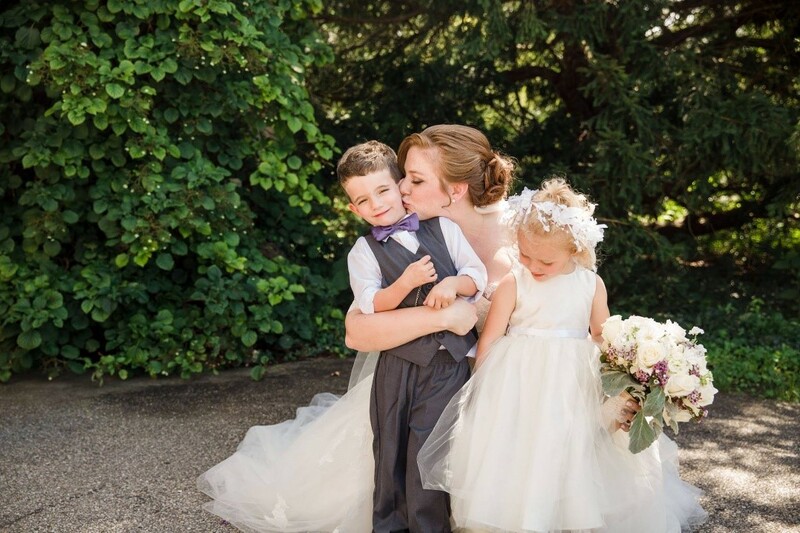 Since I’m the baby of the family and all of my siblings had already been through wedding planning, I had plenty of help. 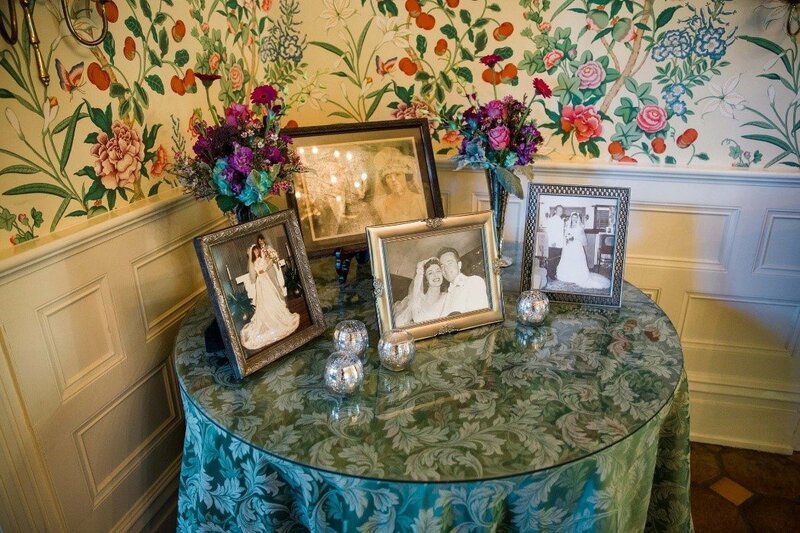 Growing up, I remember being surrounded by wedding photos of my parents, siblings, and grandparents. So as I began planning, I knew immediately that finding a fantastic photographer was one of the most important things for me. In fact, it was the third thing I finalized. So the question is – once you’re back to your normal routine after your wedding, what is the best way to display the hundreds of photos? My personal favorite is a gallery wall! It’s a great way to display photos of all the people you love. 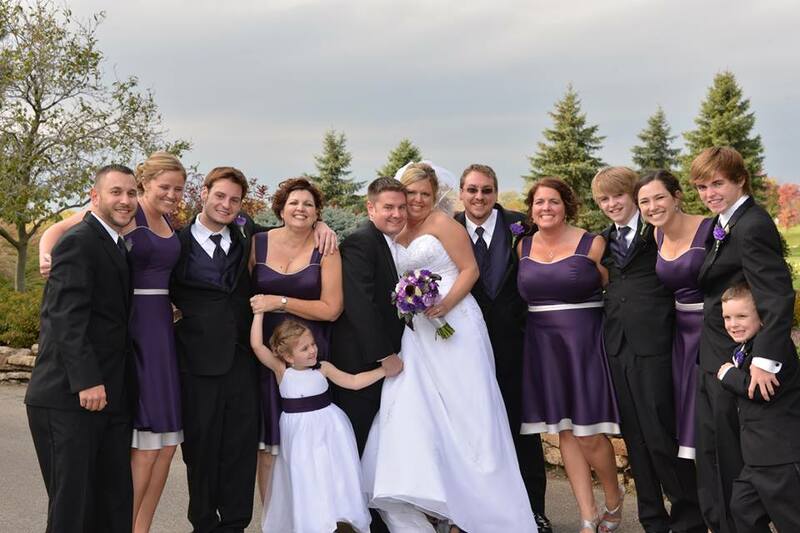 Choose your favorite photography of you and your family, husband, or bridal party to display. 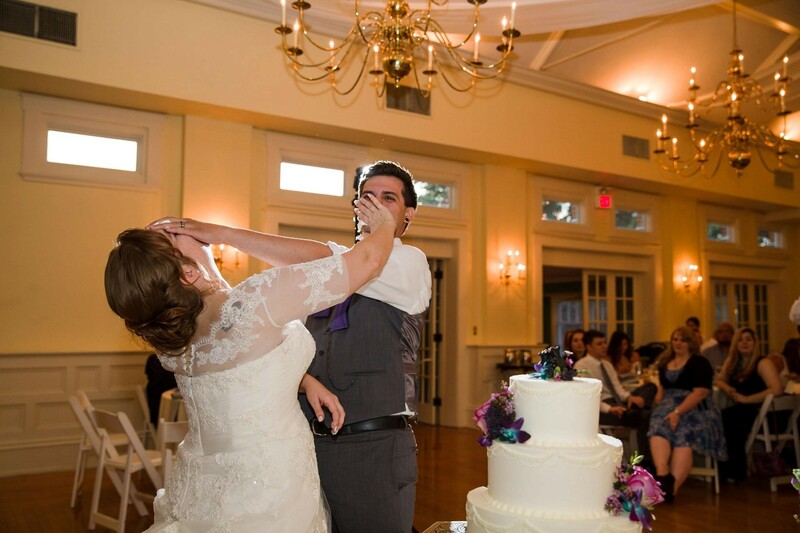 Then mix them with action shots from the reception, like this lovely cake-in-the-face shot or your first dance. The frames you choose for your gallery wall don’t have to all be the same. In fact, most of the time it looks best when you select frames of different sizes, textures, and styles. Here’s a tip for using our picture frames. If you love the style of a frame but the color doesn’t fit your needs, don’t be afraid to paint them! Painting the different frames all one color is a great way to take your wedding photographs and turn them into a conversation piece. How Can Frames Be Used While You’re Still Planning? If you stumbled on this post while you’re just beginning your wedding planning, don’t fret! You can still use our frames BEFORE you actually have the photos to put in them. Our specially crafted frames are perfect for decorating your reception. Print out your favorite love related quote or song lyric in a fancy font and frame it. Then you can place it on a table of other framed photographs of your family, your in-laws, or photos through the years of your relationship! The latest craze right now is signature drinks. 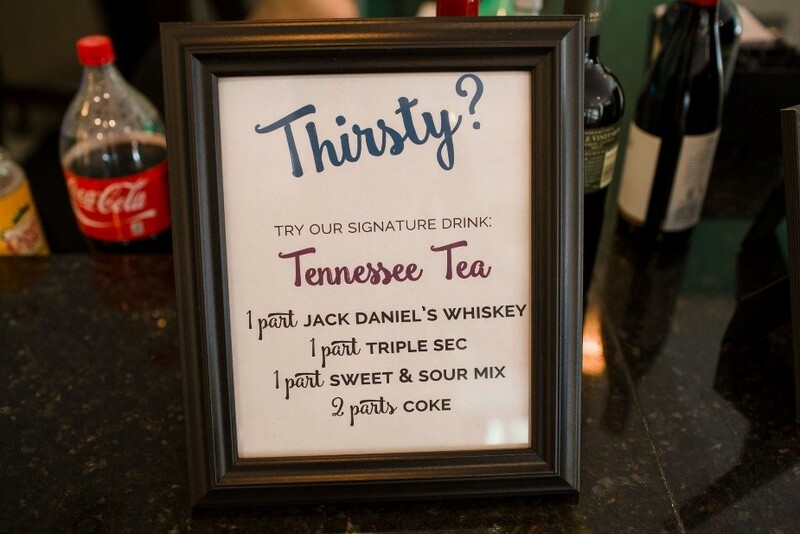 If you’re thinking of having one at your wedding, print out the recipe and stick it on the bar! This way when your guests love the drink, they know how to make it! 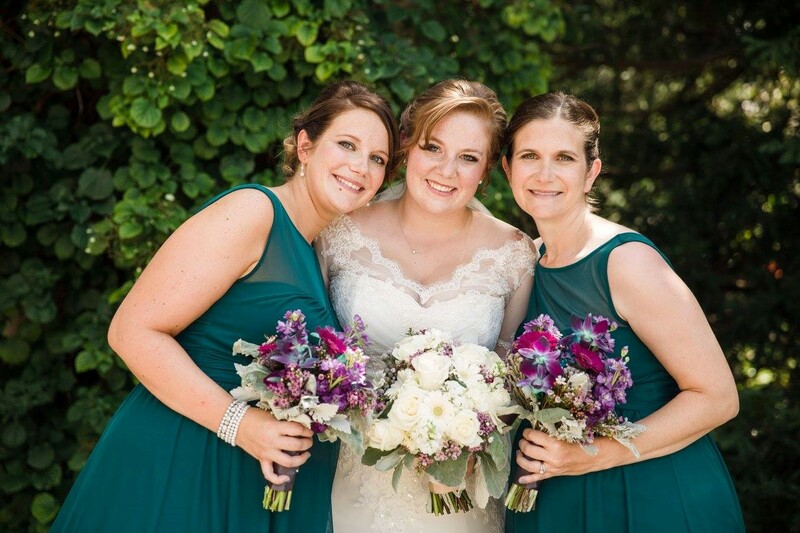 Framed Wedding Photos Make Great Gifts! 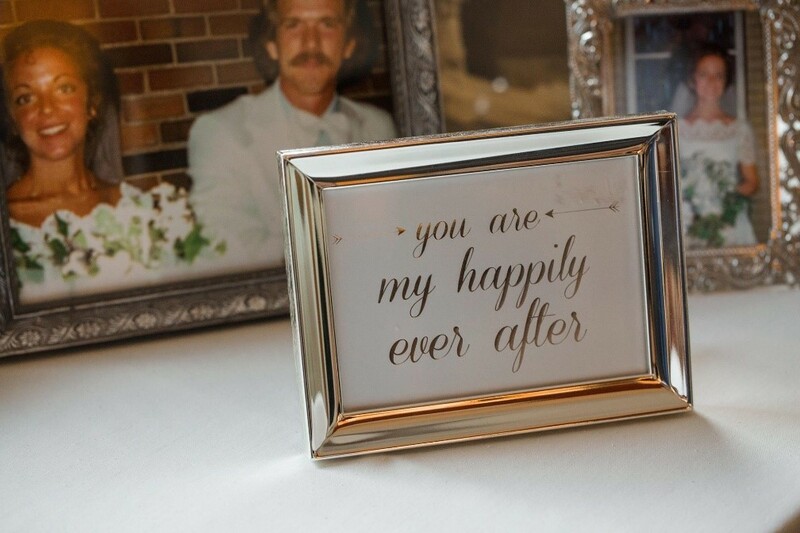 Use frames to gift family members the special photos from your big day for their birthdays, holidays, or just because. 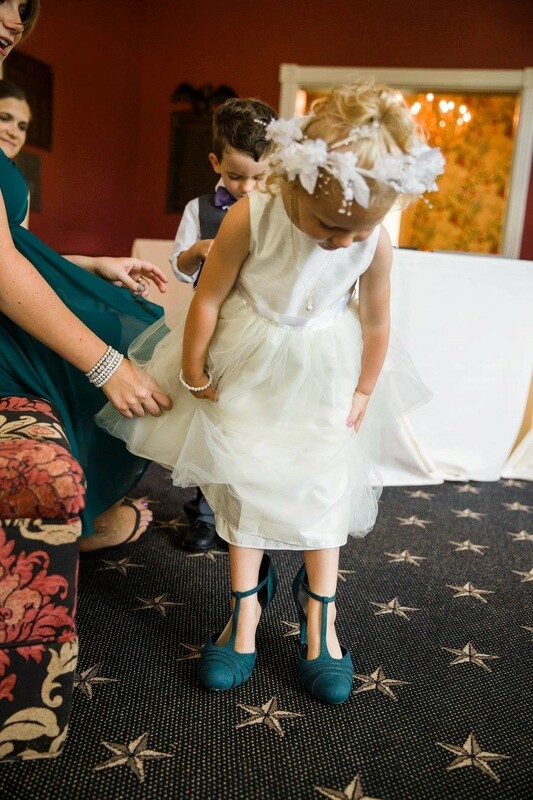 Something I’m going to do for my niece (who holds a special spot in my heart) when she’s older and getting married is give her this framed photo of her wearing my wedding shoes to her as her ‘something old’. I will tell her how for the entire summer leading up to my wedding she practiced her walk down the aisle for her wedding. On your wedding day you are surrounded by not only the person you vow to cherish until your last breath, but also everyone who has shaped and molded you into the person you are. There really is no better feeling than being surrounded by love. After the buzz wears off and you go from the fantasy bubble to the real world, your wedding photos will be what brings you back to that love filled day. So don’t let those beauties get tucked away in a box and forgotten. Take the tips shared here, display them, and remember the love. Creative block happens to every artist no matter how professional they are. We all go through times where the inspiration isn’t there. It can be super discouraging to be a creative person with no ideas of what to make. As an artist, I’ve had plenty of ups and downs. There are times when my imagination goes so wild that I can’t get it all out, and other times when I can’t come up with an idea for anything. Here are some ideas of how to get past the slump of artist block and get back to being creative. 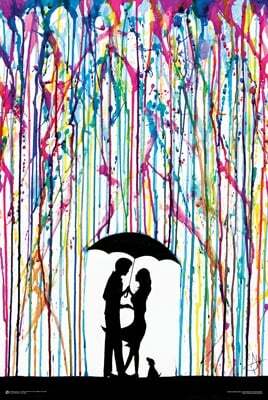 Pinterest is full of inspiring photographs, art, tutorials, videos, etc. When I’m struggling to find an idea for a project, one of the first things I do is make a Pinterest board with relevant images. It’s an easy way to find and store inspiration for your work. Whether you’re looking for a drawing reference or interior design ideas, it’s a great resource to get the creative juices flowing. 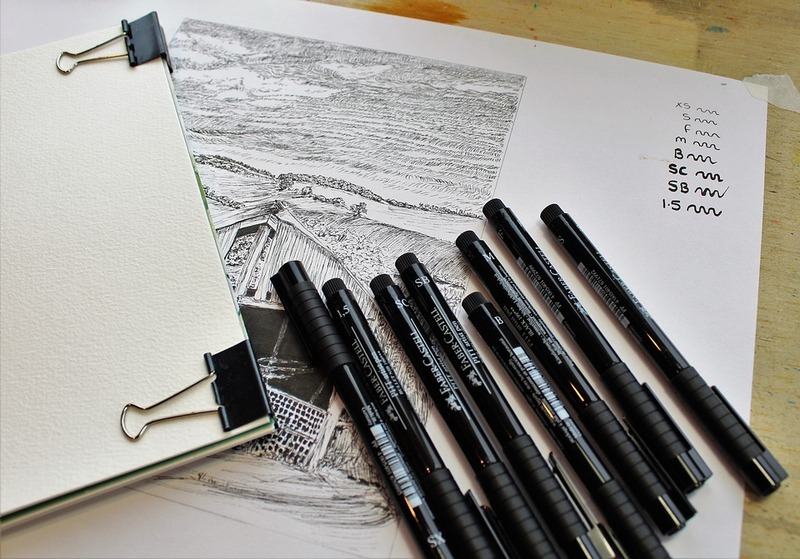 No matter what kind of creative person you are, keeping a journal or sketchbook can really come in handy. 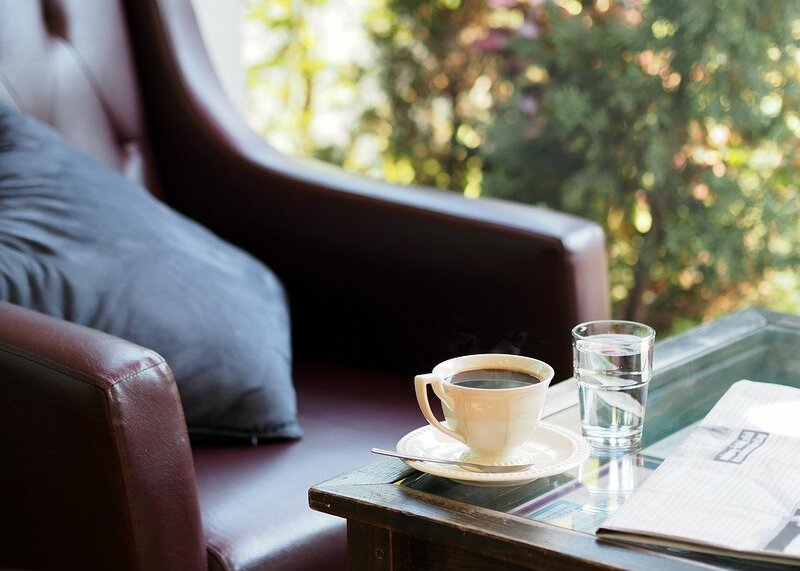 During those times that you’re full of ideas, you can jot them down for later. When you’re having trouble coming up with something, just revisit those old notes and sketches for inspiration. I’m a firm believe that you should always have a notebook with you. You never know when a great idea (or even a funny comment or sentence you overheard) is going to strike. You’ll thank yourself later for having written it down. Sometimes doing the same things every day can put you in a rut. If you’re moving through the day repeating tasks on auto-pilot, your brain isn’t working to its full potential. This doesn’t mean you need to switch your whole schedule. Making even small changes like going to a new coffee shop or reading a book on your porch instead of your couch will wake up your mind. Sometimes it only takes going a little ways out of your comfort zone to ignite the spark. Waiting for the inspiration to come to you doesn’t always work. Even if you’re proactively trying to find inspiration, it might not happen for a while. That’s why it’s important to keep working on projects even when you don’t want to. Even the greatest artists can make bad art, and sometimes it’s essential to the process. The process itself can even be more important than the end product. We learn from our mistakes, so don’t be afraid to make them! And once you’re out of your creative block and back to making great art, don’t forget to proudly display it in a picture frame! 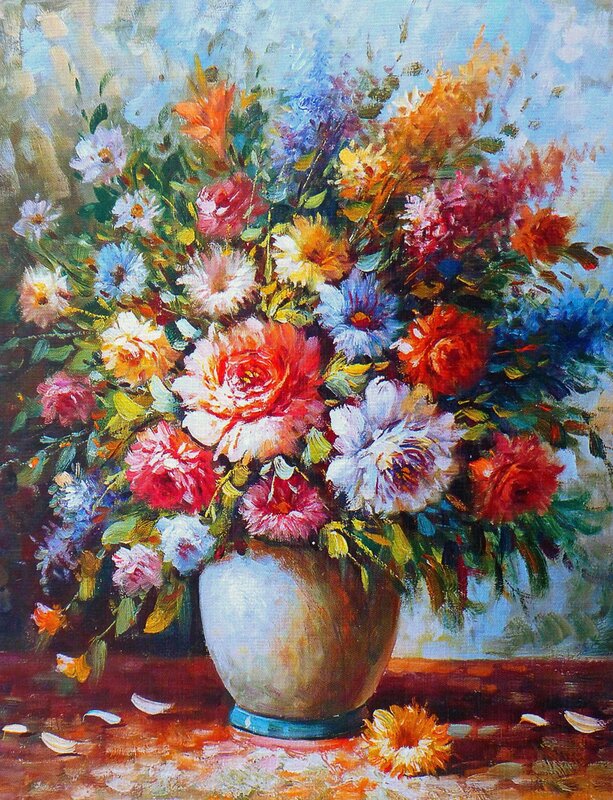 When looking at a piece of art, matting can really brighten or enhance the image. People often ask if you should mat a picture based on the image itself or based on the room it will hang in. It’s actually a little of both. You don’t want to have a mat, frame, and picture totally clash with the wall it’s hanging on. But you also want to highlight some of the colors from the art. I like a mat to pull out some of the subtle colors in a picture. You can use just one mat or multiple! We’ve matted up to 4 times on some of our framed art in the retail store gallery. We also play with spacing the mats differently so there is a small gap between one mat and the next. It’s fun to try and pull colors out that you are drawn to or would like to feature. Mats can help draw your eyes to the uniqueness in a piece of art. You can play with the reveal (amount of each color shown) for each mat. Typically we have the bottom mat show 1/4″ and the top mat is 2″, but this can be customized depending on the art and the customer preference. Another way to mat artwork is to do what is called “floating”. When you float something, the mat is solid behind your artwork. This is really cool when you have a signature that is right at the edge. 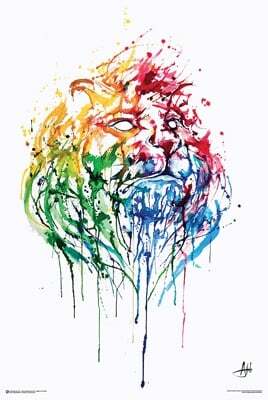 Some artwork has rough edges and it would be a shame to hide the unique effect this creates in the piece. This is when floating can really help finish off the art. 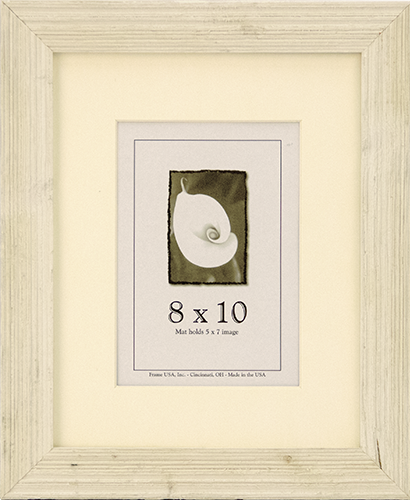 Matting is also a great way to put an odd size picture into a standard size frame. 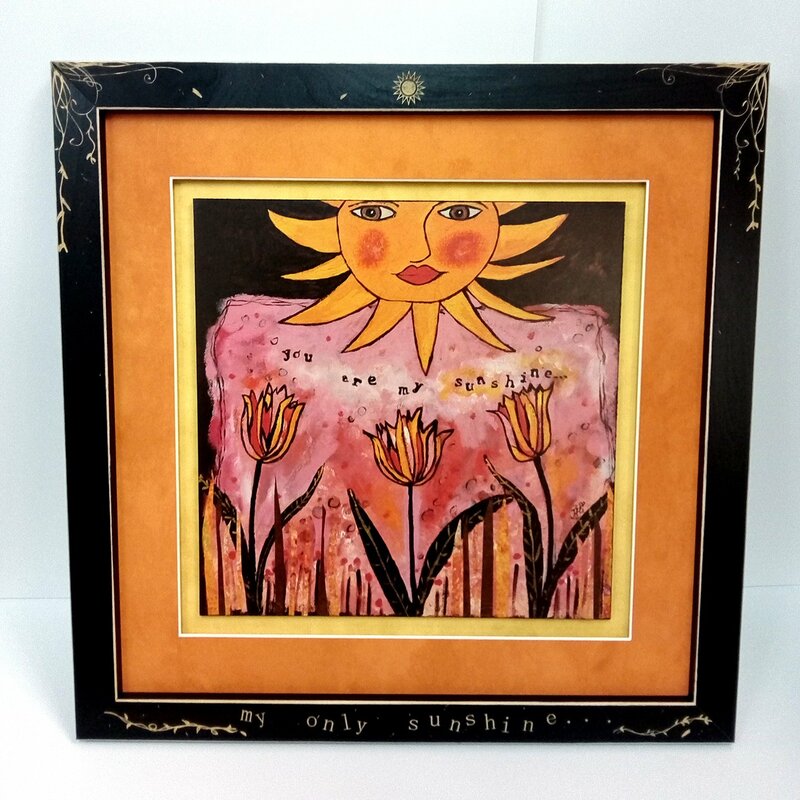 For example, you want to fit your 10×12 picture into an 11×14 frame. We can cut a mat that will fit both the frame and the exact size needed for the image. We have tons of mats in stock in several colors. Plus we have a large selection of mats that we can order for customers. If you are framing artwork as a gift for someone, it is best to keep the colors and frames neutral since you don’t know where they may be hanging the gift. 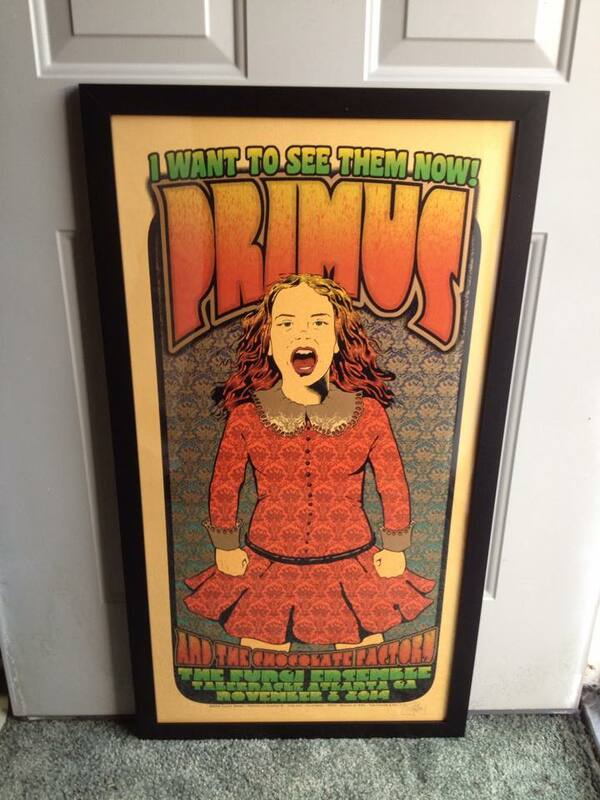 Occasionally, we’ll have a customer bring in their framed artwork looking for something to spruce it up. Just changing the mats can totally change the overall look of your image. It can make it look like a completely new piece! 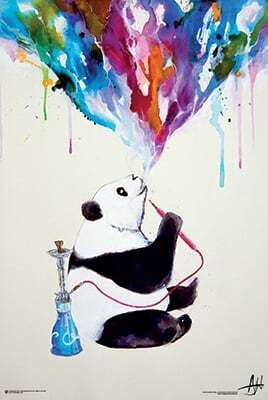 We have so much fun playing with colors and finding what looks the best to make the art really pop! Hello fellow framers! As we all know, summer is quickly coming to a close. And with that, comes all the fall things (HAPPY DANCE!). This season we’re introducing a brand new series to the Frame USA collection called “Timber”. Our new series Timber Barnwood is a great way to spruce up that She Shed, or dust off those old time, sepia-toned photos to hang around the house. It’s perfect for bringing the tranquility of outdoors inside your home. You’ll thank us for it once the weather gets cold! 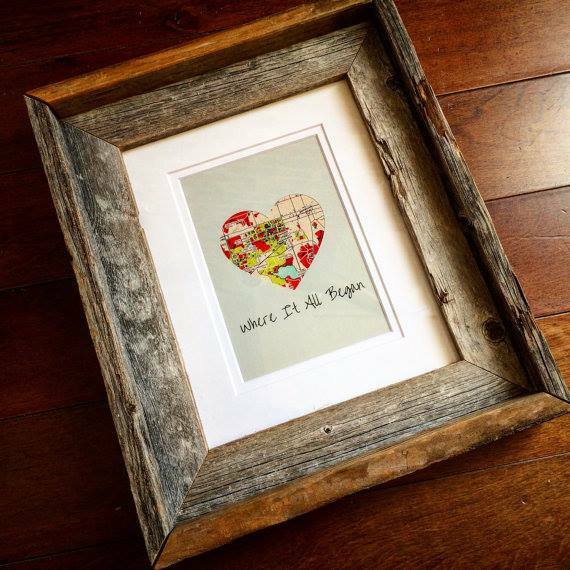 Rustic framing, or shabby chic, is becoming a major trend in home décor! With three different colors to choose from in this series (black, white, and light brown), you won’t have any trouble at all finding a place for these frames in your home. This series is made from real Spruce wood, but gives the illusion of reclaimed wood without the imperfections. The moulding gives a natural appearance with distressed ridges. Whether you’re stuck in the city and miss the country life, or you’re in the country and want to bring that feeling indoors, these frames are exactly what you’re looking for! Just like all of our frames, the Timber series is American-made in our warehouse in Cincinnati, OH. Buying from Frame USA means supporting an American company and getting the best quality products! Now through 8/26/18 you can try these new Timber frames for 15% off. Just use coupon code “TIMBER” at check out to take advantage of this awesome discount! 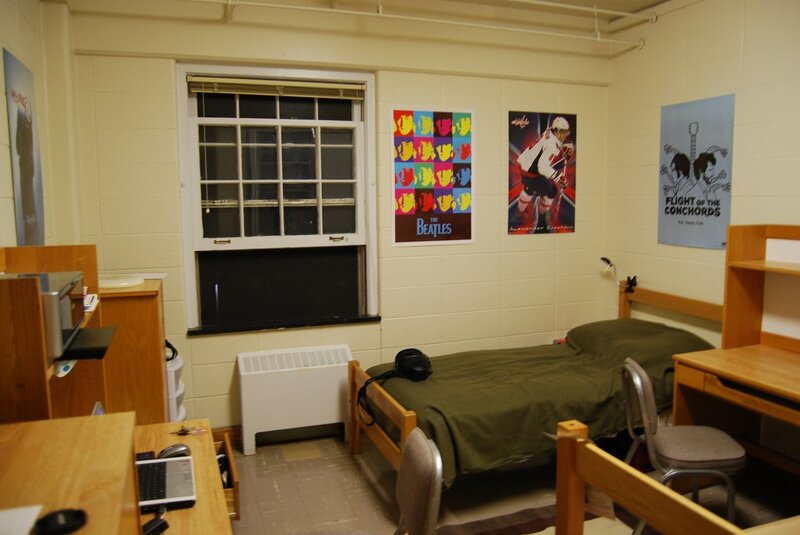 When decorating your dorm room there are a few things to keep in mind. Make sure you’re having fun, get creative, and let your personality show through! Times have changed since I graduated college ten years ago. However I recently helped my younger cousin move into her dorm at the University of Cincinnati. We decorated her walls together. Whenever I decorate any room, I like to start by drawing a template. My cousin and I drew a little sketch of her room before we started. We positioned her bed and desk first because we were unable to use the wall space above them. Next we drew the areas that we wanted to decorate and decided what to put in these areas. Most young adults going off to college are on a tight budget. The money they do have they’re trying to save that for food and fun activities, not room decorations. One inexpensive way to decorate your walls is with posters, either by themselves or in frames. This is what we did for my cousin. My cousin loves art, animals, and music so when we went to posterservice.com we shopped mainly in the art and music categories. Since dorm rooms can be small, plain, and often have little to no natural light, we wanted to stick with colorful posters. 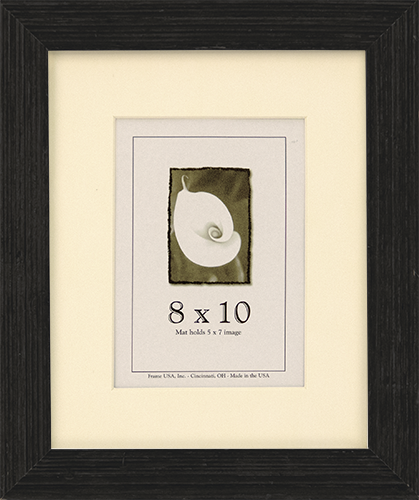 An important interior design tip for decorating walls is to hang things in odd numbers, never even numbers. So on her smallest wall we chose 3 posters and hung them in a “V” shape. We called this “Marc’s Wall” because we only used posters by Marc Allante. On the left of the wall, we hung up the poster titled “Chai” by Allante. In the middle bottom of the “V” shape, we used the poster “Two Step”, and on the right we hung “A Portrait of Hong Kong”. 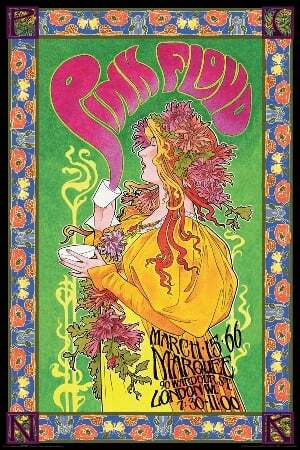 Some other great posters that are colorful and also very popular are Lion Rasta, Circulation, Melody of the Night and one of my favorites Let That Sh*t Go. My cousin has an old soul and is a fan of classic rock music, so on one of her other walls we did a music theme. 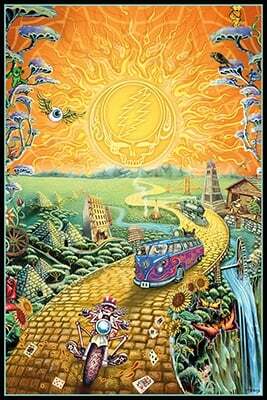 It was hard for us to narrow down our choices because Posterservice has such a great selection of music posters! 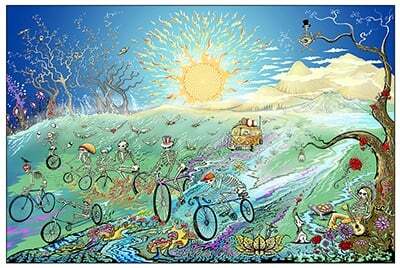 We ended up going with Pink Floyd Masse, Grateful Dead – Golden Road, and Grateful Dead – Summer Tour in one area. We also used our black corrugated poster frame to hang The Beatles Yellow Submarine. 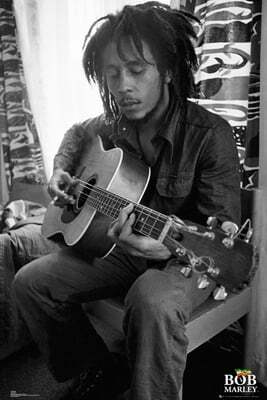 My cousin also loves Bob Marley, so right above her bed we put a popular poster titled “Bob Marley Guitar”. The final poster we hung in her dorm room was on her door. 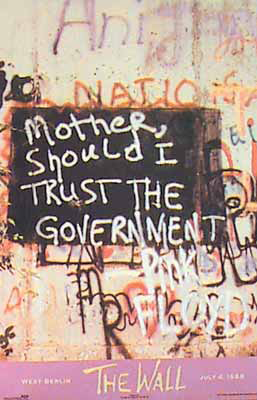 We decided for this spot to use one of her favorites, Pink Floyd’s “The Wall”. Once we were finished with her room, it went from looking like a prison cell to a comfortable, inviting, and fun living space! No matter what your style is, Posterservice has something for all personality types, interests, and hobbies. If you’re having a hard time deciding on a poster or poster frame, just call me – Jen Riggsby, Posterservice Manager at 513-250-4135. I would LOVE to help you out. As long as you send me a before and after picture – that is the most rewarding part!! 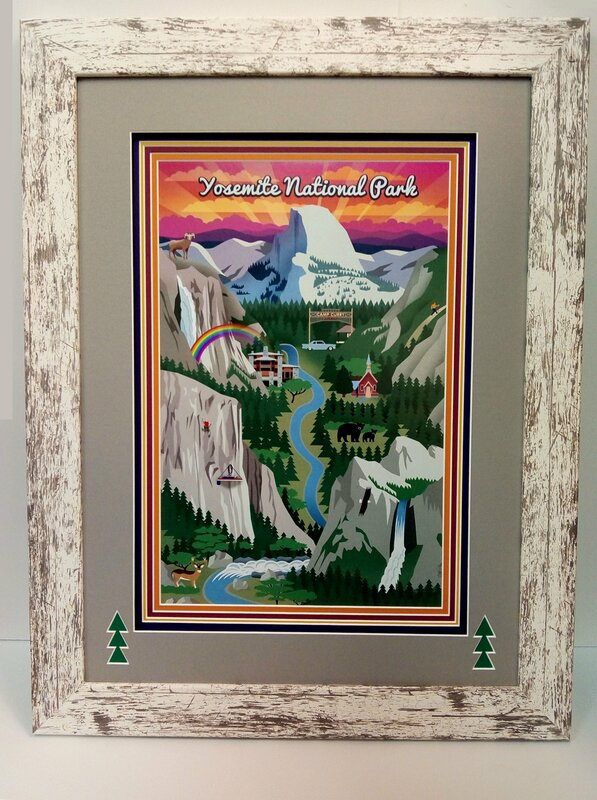 And if you’re in need of a frame for your new poster, Frame USA’s feature frame of the month for August 2018 is our poster frame series! You can view our selection here and use coupon code “SCHOOLRULES” for 10% off all poster frames through the end of August! Do it yourself projects are a huge trend right now. 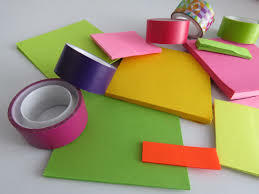 They’re a great way to bring out your creative side, manage stress, or decorate on a budget. I look at a picture frame and think the possibilities are endless. There are hundreds of styles and sizes that can be transformed into exciting DIY projects! We’ll start small and work our way larger. Let’s take a 4×6 frame and place a photo in it. It might seem obvious, but this could make a great gift for grandparents or other family members. 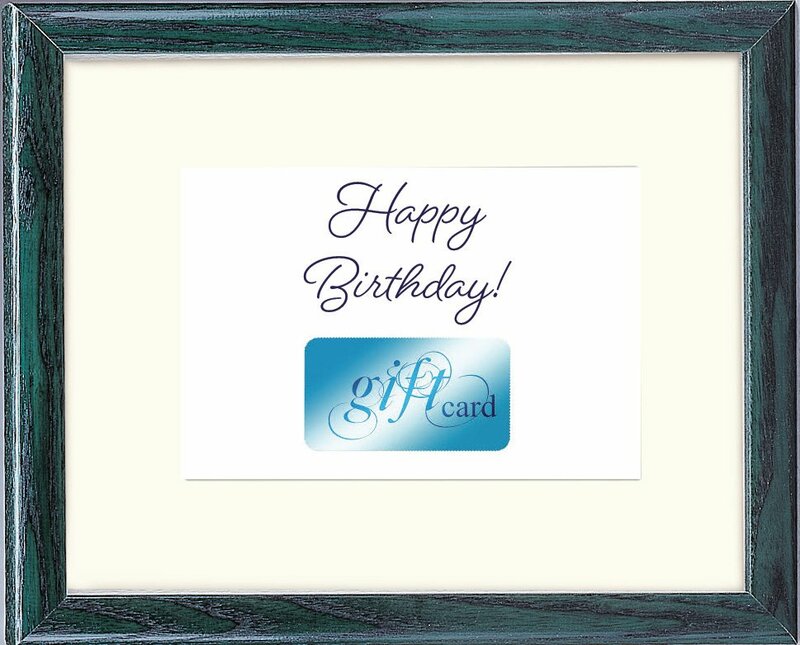 You could also use that same frame and place a gift card inside – now there is a great gift idea! Using a picture frame instead of a greeting card is not only more exciting and unexpected, but many frames are more affordable than the average greeting card. They can also reuse the frame themselves. Frames make for great wall decor just by adding printed craft paper or chalk board material. Check out this photo below of one of our customers who decorates the outside of our frames and sells them on Etsy! Our Decorate-It frame series is perfect for this kind of project. 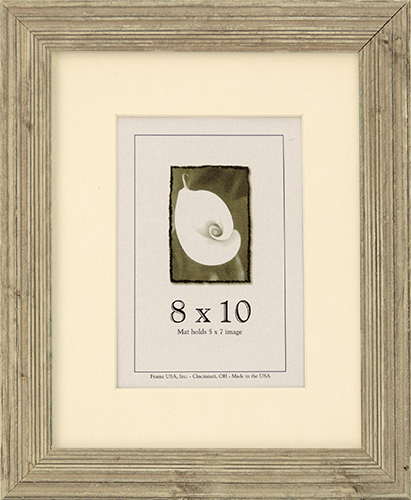 These unfinished frames are great for your DIY project like painting or collage. One of my favorite DIY ideas is to add mirror glass to picture frames. 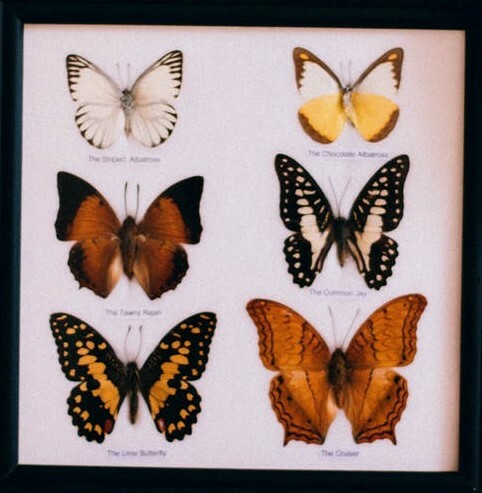 Large or small, they can sit on a table or hang on a wall. This makes your frame a one of a kind wall decoration. We have frames that can be stained, painted, any custom finish that one can think of. Another favorite is the versatility of Frame USA’s natural Barnwood frames. 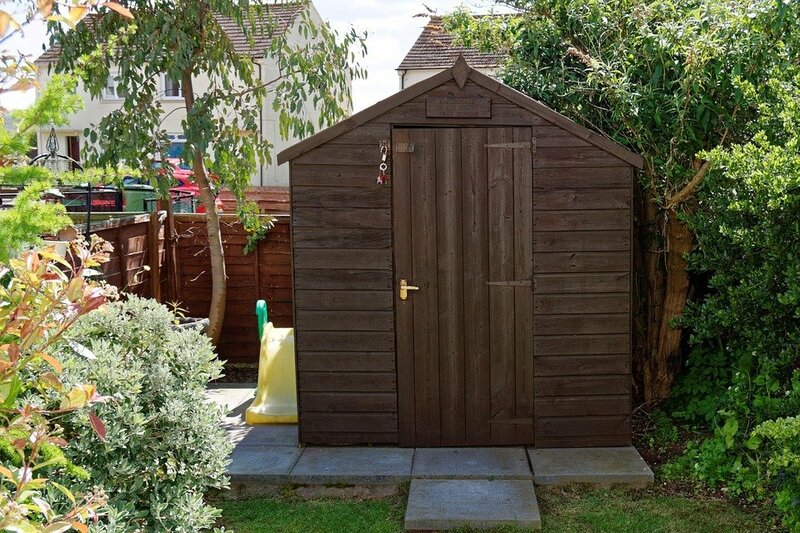 This series has a great rustic look and can be filled with any style of photo, or decorated with paint or collage. We have even turned them into serving trays that can be customized by simply adding a seasonal paper or family photo. Last year the employees at Frame USA had the opportunity to make a project from their favorite frame. Each project was unique, creative, and awesome! We are always adding new mouldings to our frame lines. The possibility of new ideas for creative DIY projects is endless! Get creative and send us your photos of any projects you use our frames for on Facebook, Instagram, or Twitter! We love seeing how creative our customers are! We love seeing creative frame uses by our customers! Here at Frame USA, our customers are our top priority. However, they are more than just important to our business – they inspire us! 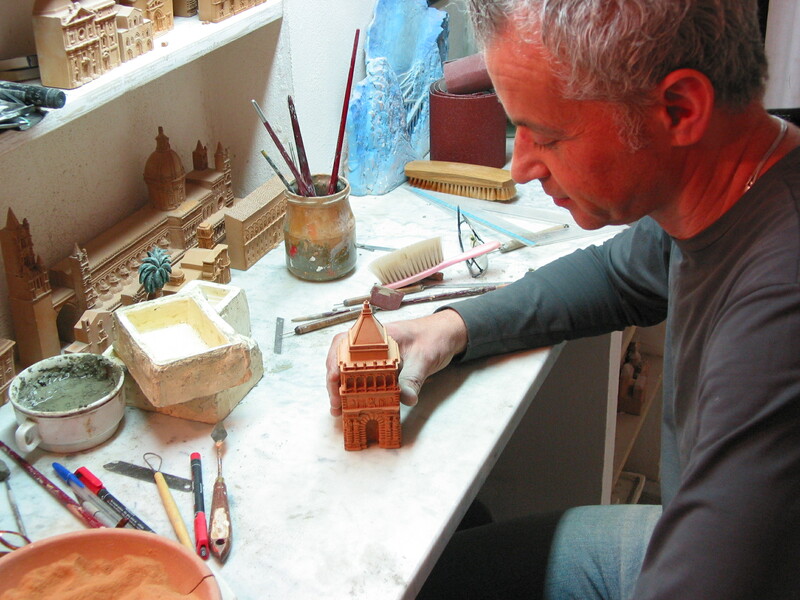 Seeing our products used in such a variety of creative ways brings out the artist in all of us. For instance, the photo above was sent to us by the owner of an Etsy shop called CreativeGlassByBecky. 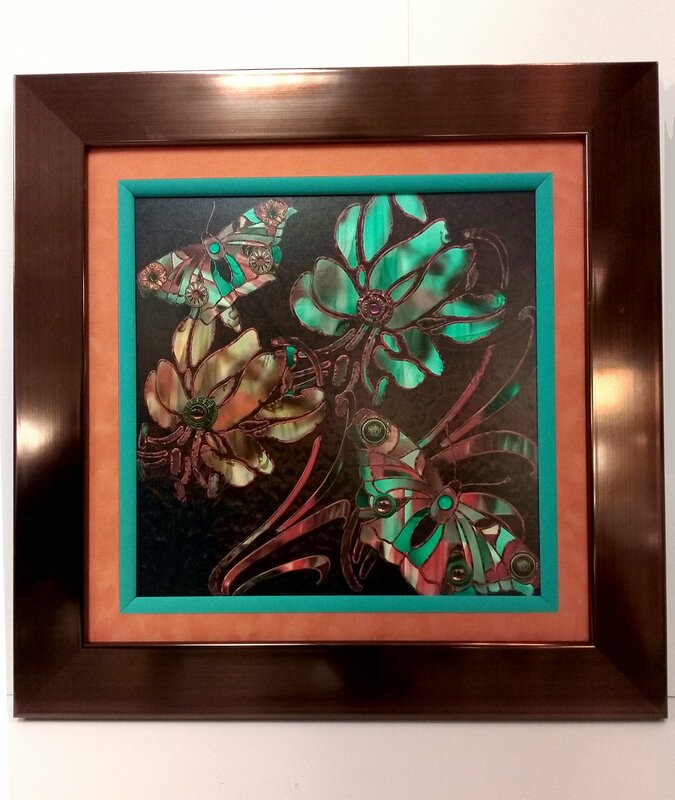 Becky uses frames from Frame USA to create faux stained glass artwork that she sells in her shop. We love that our American-made frames are being used to create art and help an American small business owner run their company. 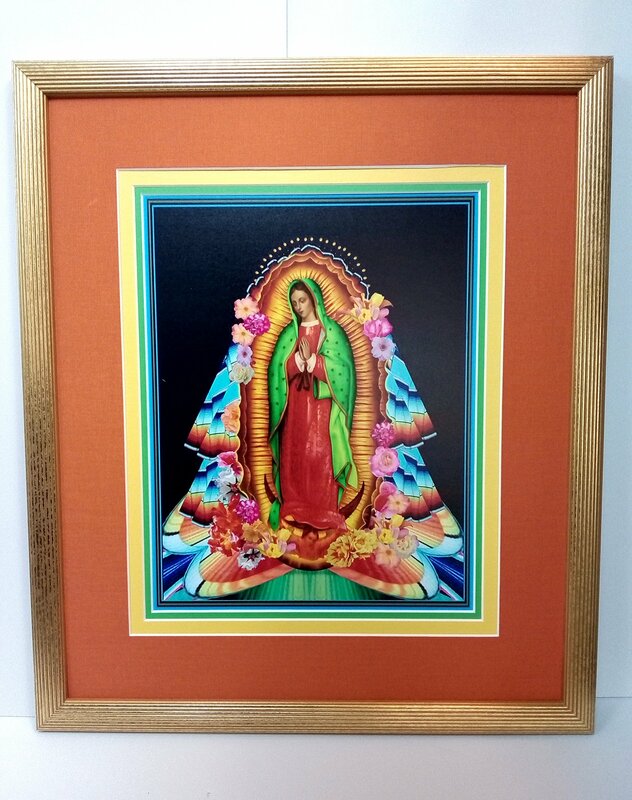 Above is another piece of art made with a Frame USA Wood Frame. 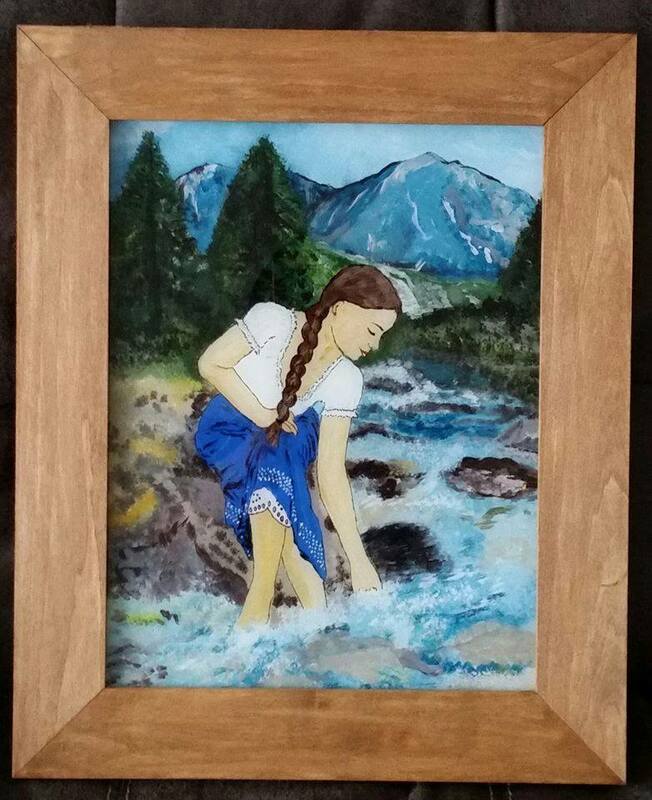 This reverse glass painting was also made by an American Etsy shop owner whose shop is called KRAM Gifts & Crafts. 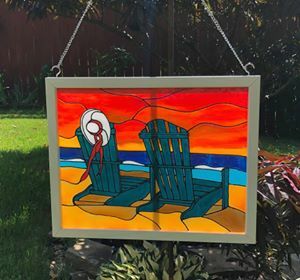 Reverse glass painting consists of painting in layers on the back of a piece of glass and viewing it from the other side. It is a technique of painting that has existed since the Middle Ages. These next photos are examples of our custom frames. Frame USA offers a wide variety of standard frame sizes, however sometimes customers have pieces they want framed that are not standard sizes. This customer had these beautiful posters they wanted to display, but needed a custom size to fit them. All of our standard frames can be made in custom sizes by using the “Custom Sizes” tab on our site. The Design a Frame section of our website is also an option for designing your own custom frame. Our Decorate-It frame series is another popular frame that leaves room for creativity. These wood frames come unfinished so that you can decorate them yourself however you please! 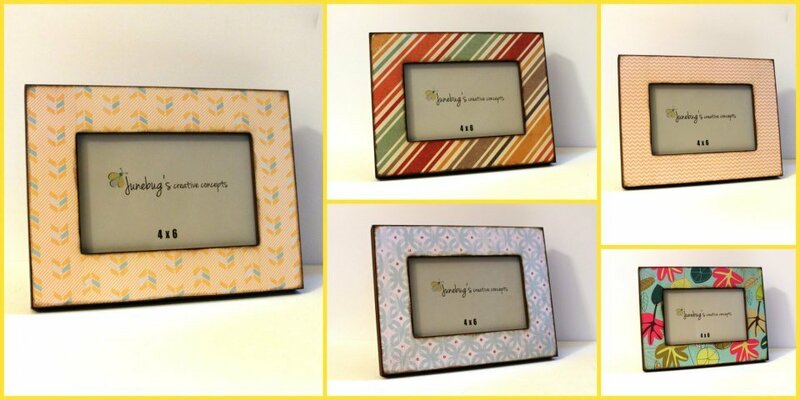 These photos are examples of how one customer decorated their Decorate-It frames. This series is great for painting on or using to collage onto like this artist did. 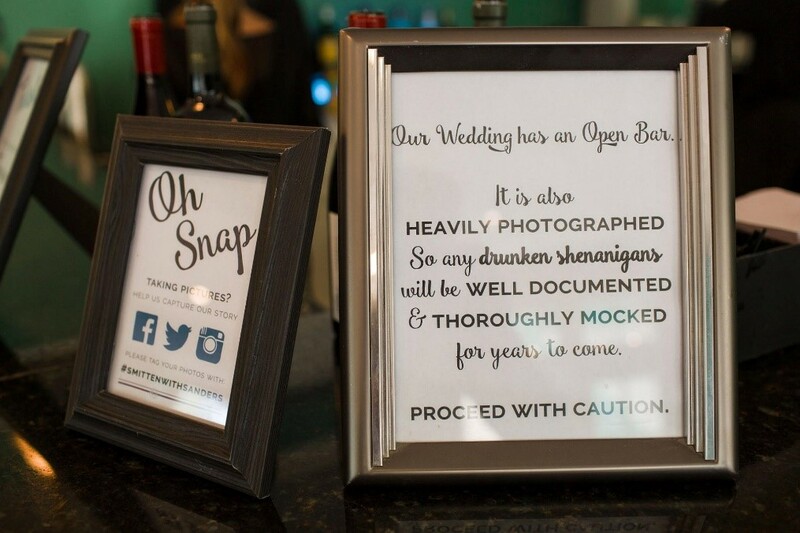 Weddings are also an occasion where having the perfect picture frame is important. 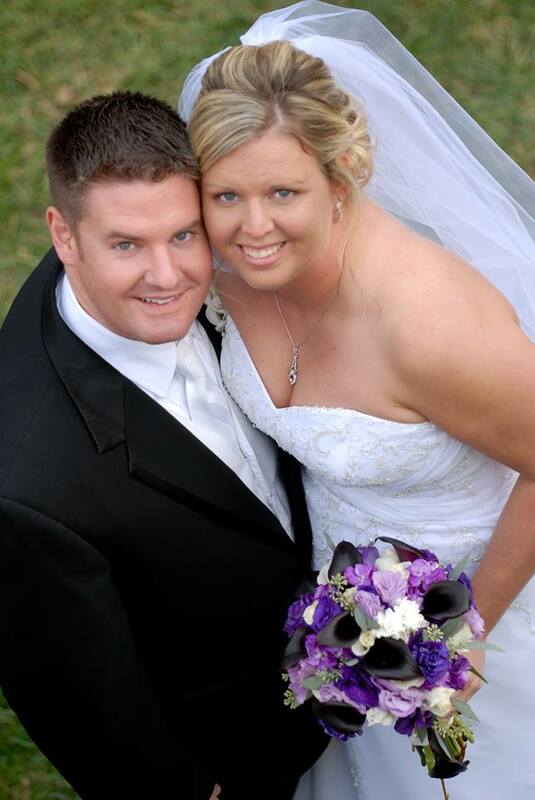 This customer used one of our frames to commemorate their big day in 2011. 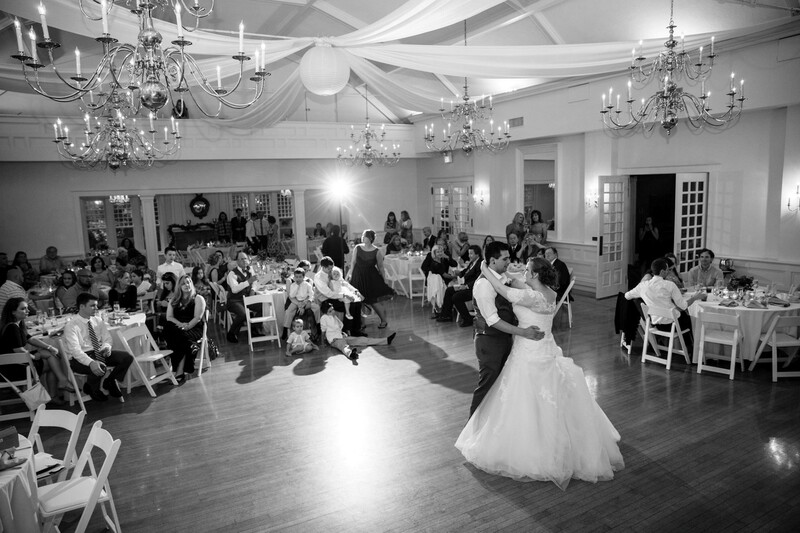 It’s a great way to decorate a wedding ceremony or reception, or to show off photographs from your wedding afterward. 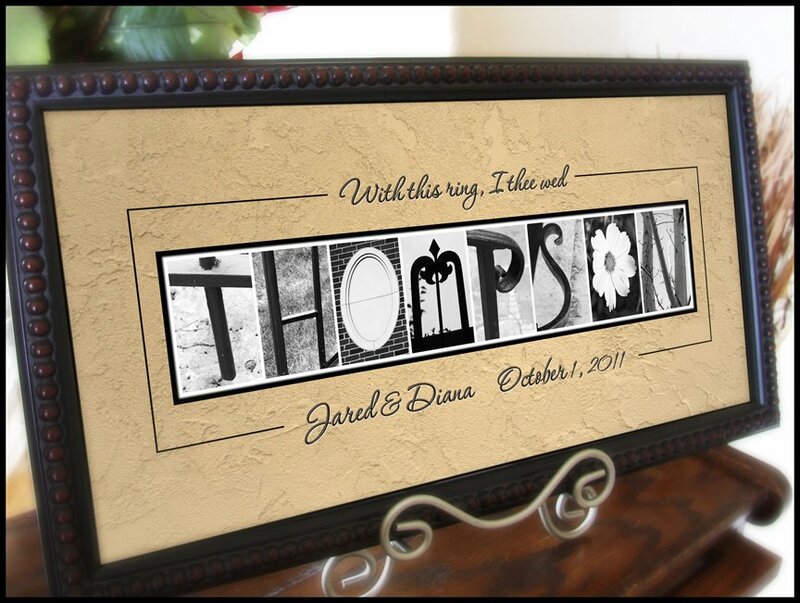 Jared and Diana spelled their last name “Thompson” in a photo collage and displayed it as a decoration. We love seeing all of the different creative ways our customers use our frames. If you’ve purchased a frame from us, we want to see your photos! Contact us on social media – Facebook, Twitter, or Instagram, or email us at sales@frameusa.com. We will gladly give you a shout out. 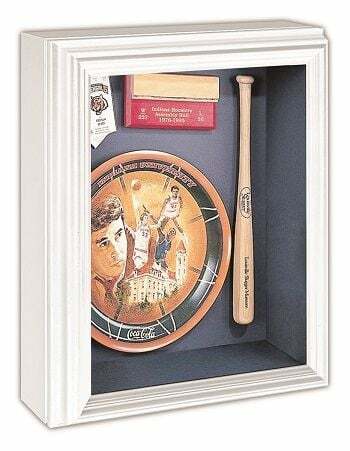 Shadow boxes are boxed frames enclosed by a glass covering on top and have a greater depth than picture frames, creating a rather dramatic and distinct appeal. 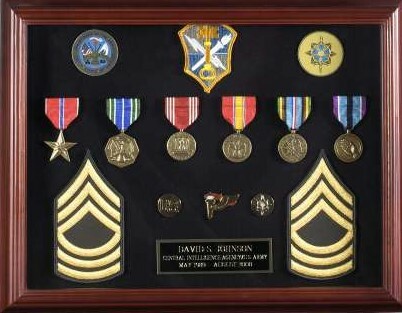 Going by history, they have a strong military connection where they were presented to military personnel upon retirement and the boxes contained different souvenirs like medals, badges, and flags. However, in modern times there are several creative ways which we could use it to safely hold our cherished possessions as well as to add to the décor element of our spaces. FrameUSA offers 3 different variations of Shadow Boxes with varying depth to give to the right space and effect you are looking for. Also, you could choose from different color options and sizes specific to your needs. Here are some shadow box ideas/inspirations to fuel your creative thoughts on putting shadow boxes to work for your décor. Some of these are actual images our customers shared with us showcasing how they used our shadow boxes in different creative ways. Also, please do visit our Pinterest and Instagram pages for more inspiring ideas. We hope you are as excited as we are and we look forward to seeing more pictures from our customers on this. Don’t forget to return to our blog for more exciting and interesting updates from FRAME USA. We would also love to hear about your stories and experiences with us. Please share them with us on any of our social media channels which can be accessed through the links below and it would give us the motivation to keep going. 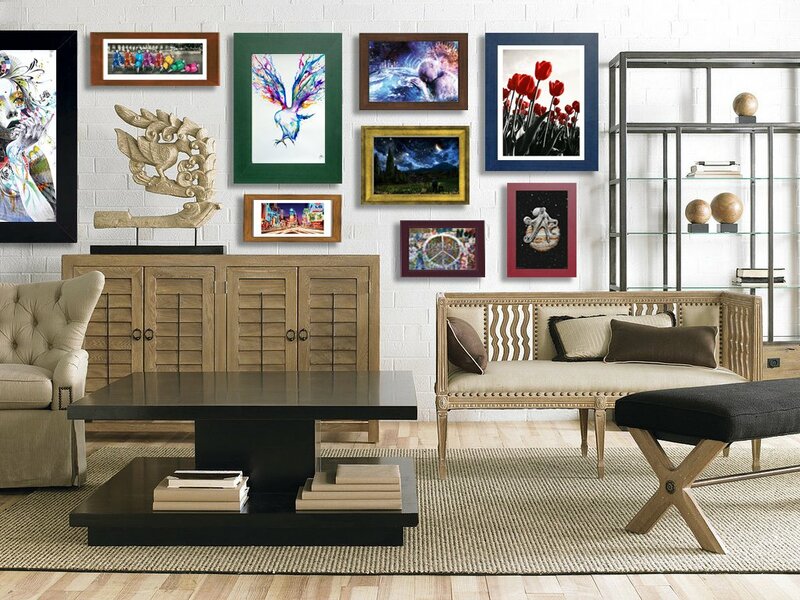 Even though Frame USA specializes in the manufacturing and distribution of picture frames, we’ll be the first to admit that not every piece of artwork calls for a frame. 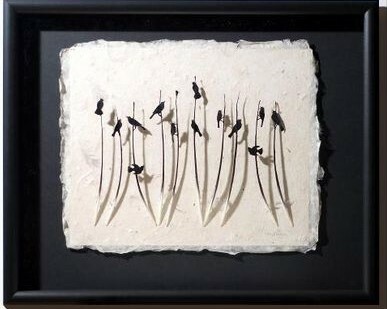 Many contemporary pieces are meant to display alone, or with a minimal floater frame. 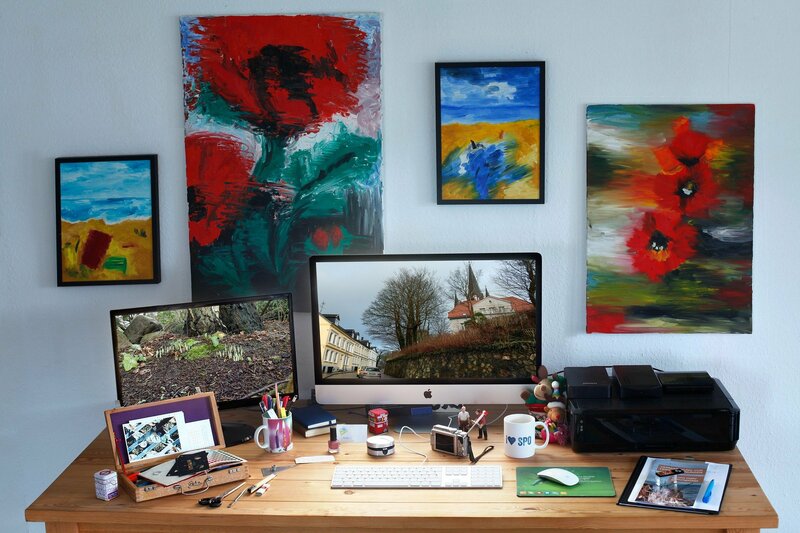 You should ideally use a frame any time you do not have a canvas, or when the art work can’t be displayed on its own. 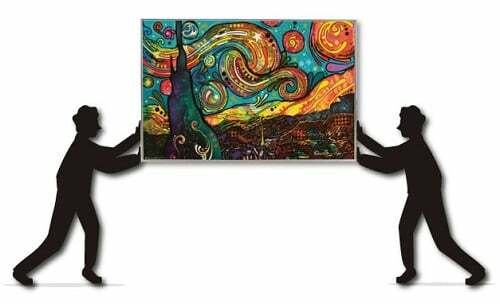 Some artist simply mat their artwork while others will buy a frame in the correct size for their piece. Custom framing is another option, but the concept remains the same — don’t let the framing overpower the artwork. The frame you choose should add to the art or simply make it easier to display, not distract from the artwork. As another precaution, don’t frame a piece of art for the sole purpose of matching a room. Art can be arranged in any which way, whereas a room can undergo many changes over time. Once you’ve decided on the proper frame for your art, the next step is frame hanging! When hanging picture frames you want to aim for the average eye-level to get the best reaction. Meaning once the framed artwork is on the wall, you should be able to stand in front of the piece with your head level, your gaze should fall just about in the center or just below the center of the artwork. Art is meant to be viewed and appreciated, and won’t have quite the same effect unless it’s easily viable. When selecting what kind of frame hanging accessories to use; you must take into consideration a few things. First, you need to thing about what the type of material the wall you are hanging frames on is made out of. 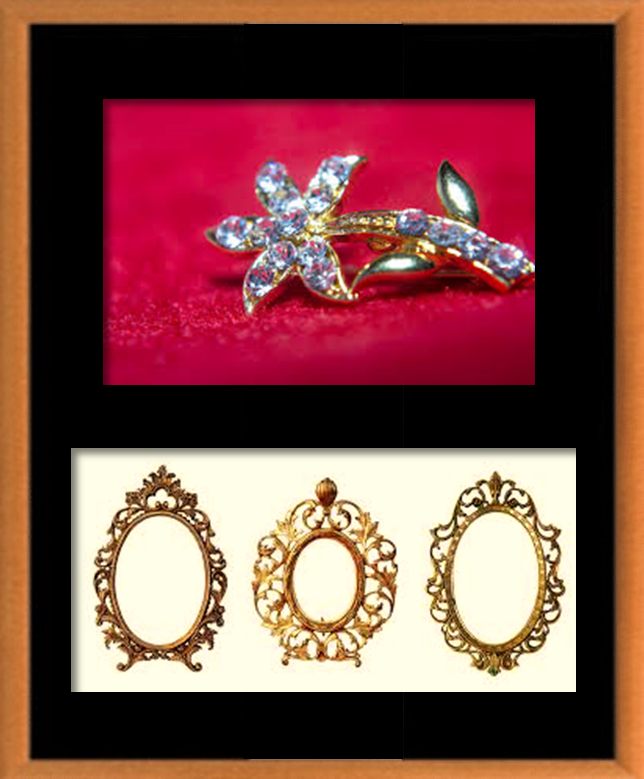 This is important because you need to get picture frame accessories appropriate for that type of material. The second thing to consider is how heavy your artwork is. Most frame hanging accessories have sizes designed for certain pound ranges. Select one rated for the picture frame you intend to hang. If in doubt, go for a stronger hanger! It’s better for your hanger to be too strong than not strong enough and have your framed art fall off your wall. Now is time for the best part, stand back and enjoy your framed art!